My son had the most amazing time being photographed by Mel. He was immediate at ease, which meant she was able to capture fabulous images of him - that were "really him" not just the pose. Thank you so much, he is the happiest child in Melbourne today! Thanks Mel for the amazing photo shoot you did with Ava, the results speak for themselves. It was her first time in front of a camera in this way and you put her at ease immediately & made it so much fun (she especially loved the warehouse!!). You were able to capture her true love for dance, not just a pretty picture. I would definitely highly recommend Mel to anyone who is wanting high quality beautifully shot and thought out memories of their children. Mel is not only good at what she does, she’s also very personable and friendly. She makes you feel like an ‘old friend’ just catching up while she takes her awesome shots. It was also fun for Emily and I to discover cool ‘graffiti’ lanes this side of Melbourne. We’re very happy with the results and would definitely recommend! After being unable to take any decent shots of my daughter swimming, I turned to Mel Lyons to capture this special time in her life. At the photo shoot, Mel put Sam at ease immediately. She enjoyed being directed and it was great to see the range of shots Mel achieved both in and out of the water. Along with the lighting and smoke special effects, the results were visually stunning. I would recommend Mel Lyons to anyone wanting to obtain stylish sports photos of their children and to create fantastic memories for them to look back on. All of our club loved your work Mel! The Pirates' Girls 16s, who are going to the USA for the World Championship Tournament in Orlando, are just so excited. Having you personalise their commitment to the Team with your photography, ensures they won't ever forget the Training Camp and the Tour. 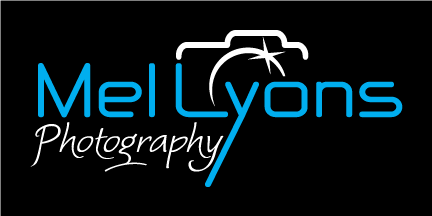 Everybody around Australia now know the Bayside Pirates and Mel Lyons Photography. Fantastic work and we all look forward to the next project! I had the pleasure of working with Mel. I don't live in Melbourne but the communication and ease with which the shoot came together was seamless. I had given Mel a few links to pictures and themes I was wishing to capture and Mel understood exactly what I was looking for and even gave me some suggestions of what she thought would also work. Mel is wonderfully easy to work with - laid back and comfortable, but very on-the-ball, intuitive and professional. We worked really well together and were able to communicate good feedback to one another enabling us to get the most out of the shoot. I hope to book another session with Mel next time I'm in Melbourne. Mel was a treat to work with. She's a true professional and very pleasant to work with. On top of that, she's probably one of the most innovative and creative photographers I have ever collaborated with. Highly recommended if you're looking for quality shots. Mel takes brilliant photos. I've seen her photos taken at APAC 2015 and a couple of Australian Floorball Opens - they are brilliant.